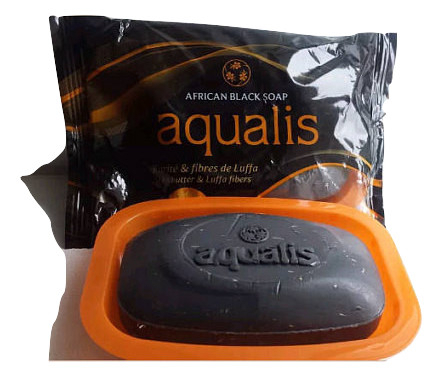 Dream cosmetics, a prominent cosmetics’ company recently introduced Aqualis African Black Soap in Nigeria, the largest Black Country in the world. Aqualis African Black Soap contains the presence of luff fibre and shea butter. The body bar soap which is prepared using organic, oats and aloe is meant to purify, revitalize your face thereby providing optimum comfort to the itchy skin. The CEO of Dream cosmetics stated that ‘the soothing bar soap is capable of absorbing excess oil present in our face and skin’. TopWide Ventures Ltd. which is the distributor and franchisee for Dream cosmetics deals with the supply and distribution of Aqualis African Black Soap. They produce cosmetic products exclusively for the Nigerian residents and even corporate entities. These products are widely used at the workplace and home. Aqualis African Black Soap which is made out of palm ash, tar, plantain peel and tamarind extract helps in clearing blemishes as well as skin rashes. It keeps your skin fresh and soft. Aqualis African Black Soap is highly recommended to alleviate symptoms of eczema and psoriasis. Oats is helpful in providing comfort to the irritated skin and absorbs excess oil in the skin. Aloe revitalizes your face and moisturizes dry, sensitive skin.Aqualis African Black Soap can be used to rinse the hair. Aqualis African Black Soap is helpful in preventing early signs of aging skin. It is best recommended for daily use. They can be used to thoroughly cleanse, moisturize and soothes the itching skin. Aqualis African Black Soap can be used to treat Cysitc Acne. Vitamin E which is an excellent anti-oxidant is helpful in protecting the skin from rashes and damages. Experts suggest using either lather or a washcloth to cleanse the whole body. The natural ingredients present in the Aqualis African Black Soap exfoliate the skin. It is best recommended for skin rashes and even skin topical infections. The product normally arrives along with a soap tray. Dream Cosmetics is a leading cosmetics’ company. The cosmetics and personal care company is currently offering a diverse range of superior quality branded international products. They are highly specialized in the manufacturing, supply and distribution of skin care products catering to the needs of their customers. It includes daily skin care products, men’s and kiddies’ range, etc. Interested customers and retailers may visit their Nigeria’s sole distributor (TopWide Ventures Limited) official website www.topwide.org and place orders immediately.